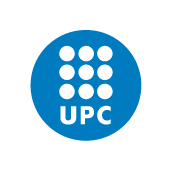 The UPC Image and Video Processing Group (GPI) is a research group of the Signal Theory and Communications department. Since April 2018, GPI is part of IDEAI, the Intelligent Data Science and Artificial Intelligence Research Center. GPI is located in the Barcelona Knowledge Campus, the first Campus of International Excellence in Spain, a joint initiative of UB and UPC universities. You can also find us in futur, the Scientific Production Website of UPC. Welcome to our small window to the world!